Push controls is a smart home automation system installed into your home by an expert integrator. This system gives you the ability to control just about anything – from your lighting, home heating, ventilation and air conditioning, entertainment like TVs, Foxtel and networked home audio. A complete security system – from an iPad, iPhone or Android device. Your tablet becomes a one-stop shop for switching on and off just about anything electronic around your house. Whether the control of the lighting system is via a smartphone, tablet or desktop computer, you will need the software or application to operate it. How you obtain the software depends on where you purchase the automated lights. You can get free software by purchasing the fixtures with inclusive applications, or by using an open source software/application. This is a box that instructs the commands wirelessly to your lighting fixtures. To control your lighting (on, off or dim), you will need to send instructions to it, however, the commands are useless if the software or application cannot transmit them to the lights. Hence the need for a transceiver that can communicate with the lighting fixtures. Do you know the structure and the type of lights you want? Do you know the number of groupings you want for the lights? What will you name the groups? How many switches do you want in your home? Have you decided the locations for these lights? Have you compared the market suppliers and ratings? Will you be using a smart speaker like the Amazon Echo? If yes, where should you place it? (A speaker has to be located in a place that is easy to reach and in the middle of the house for anyone to access). Are you going to use lights from the same manufacturer as the doors and camera? As a starter, you should begin automating the lighting in the main rooms in your house like living room and the kitchen. You can then add more automated lights as you get used to the app, before moving on to other areas of the home like bedrooms, bathrooms etc. Switches can also be made wireless. We would recommend automated switches than lights. Since a single switch can be responsible for all automated lights, it will be easier to configure the lighting. You can also place the switches in a more secluded area if you do not like the view of these on a wall. This is especially convenient if you will be using a smart speaker like Amazon Alexa, to help you automate the lights. 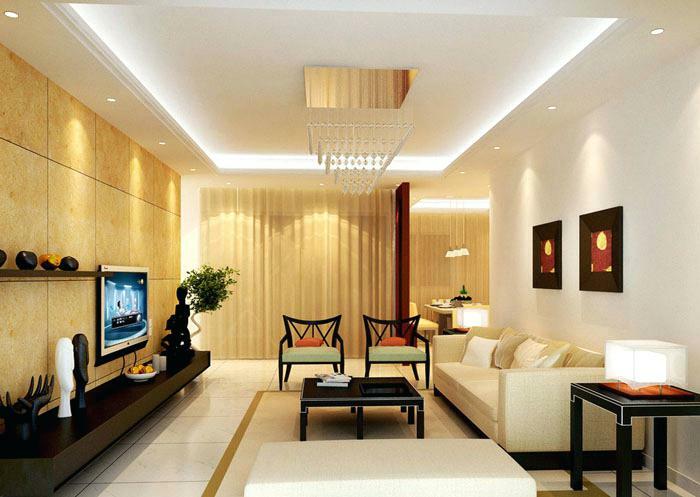 Wireless lighting is guaranteed to complement the beauty of any home, new or old, large or small. Turn on/off multiple rooms or the entire house with one tap, have the lights illuminate in the theater when the pause button is pressed and lights can turn off automatically when the room is unoccupied. Your home can even alternate lights to appear occupied while you’re away. Your wireless lighting switch can be integrated not only with the bulbs but also with other devices, such as a speaker or the TV. It will be easier to turn on the lights in the living room by a single switch, so you do not have to fumble with too many buttons and wires. 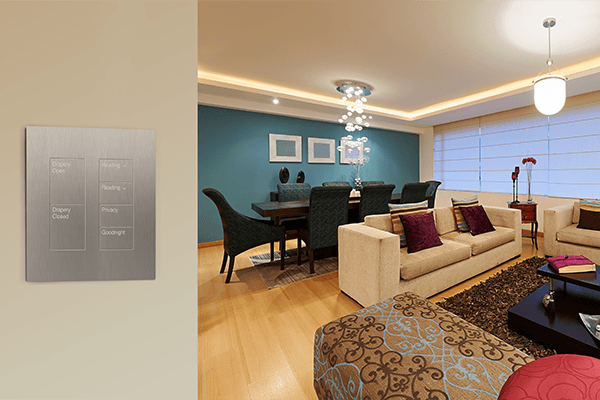 Voice controlled lighting: If you have Control4 Smart Lighting, you can add immediate out-of-the-box voice control for your lights with Amazon Alexa-enabled devices. Ask Alexa to light the way when you walk into the house with your arms full. Set the mood easily by asking Alexa to lower the dining room lights to 40% or turn off every light at once from the comfort of your bed covers when it’s time to turn in. You can use light automation for the external parts of your house. The pool and garden lights can be integrated into the system. Smart lighting knows no boundaries—from under your roof to under the stars. Activate a lighting scene that lights up the deck and emphasizes water features in the backyard. Exterior lighting can turn on-and-off in unison with the sunrise and sunset. Set perimeter lights to flash if the alarm system is triggered, drawing attention to unusual activity. We would recommend using smart switches that allows you to turn them on and off easily. Now that we have provided you with the basics of home automation lighting, you may be wondering about the installation procedure. Smart Home Works has experienced and skillful people ready to complete the job in an efficient manner. You can call us on (02) 8197 1122 or drop us a line here. We would be happy to answer any questions you might have. So give our friendly team a call today and have a brief chat. We are here to help.